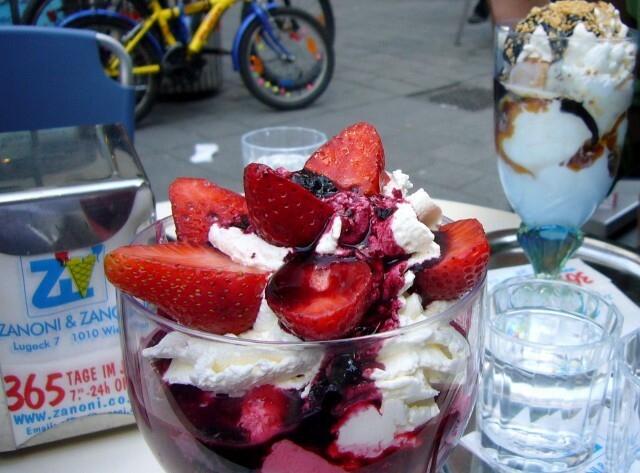 In Vienna are a good judge of sweets and can do ice-cream. The most part Vienna the ice-cream bar open in the spring. I purposely found the best institution and have allocated to myself two cafes. On my look, they idiyentichno are quite good. Cafes Are silent (Tichy), on Reumannplatz 13, wreaths consider as the best in the small town. His founder, Curt Tikhi, has opened own business in 1952. 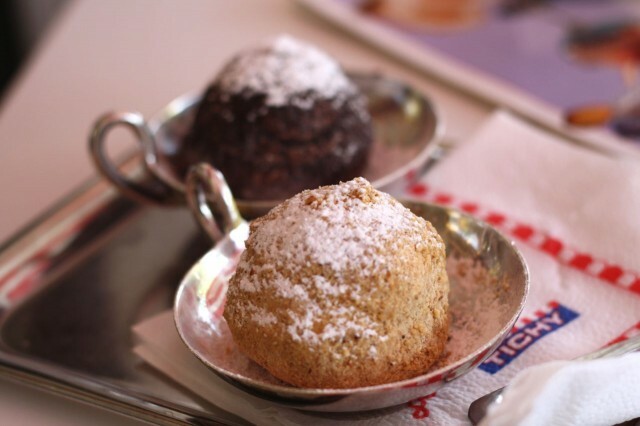 Specifically Curt has invented Eismarillenknodel dessert – the apricot knedliks which are popular at present around the world. 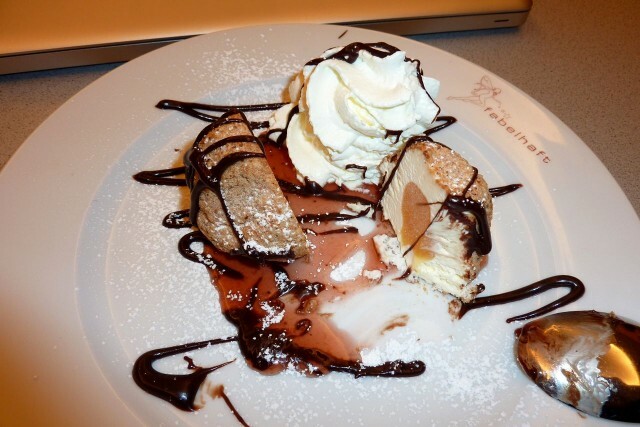 The professional confectioner has taken a traditional Austrian delicacy of Marillenknodel for base and has processed it «in style the ice-cream bar». It has changed usual cottage cheese dough creamy cream, apricots – sorbet, crackers – droblyony nutlets. The dessert left excellent, but fat. More than three balls to me did not manage while to be eaten. 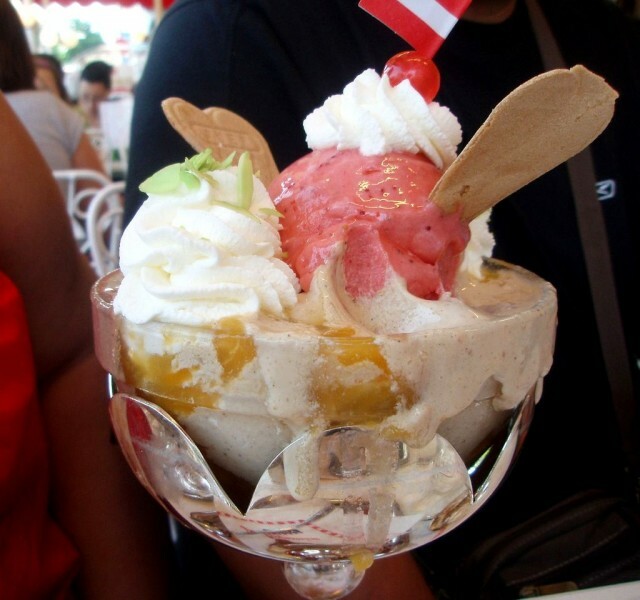 In Tichy I order «Coup Ostarrichi» – huge multi-coloured ice-cream with 3 fillers: strawberry, nutlet, cocoa. Any portion is decorated with peaches, whipped cream and a small flag of Austria (such registration usually admires kids). 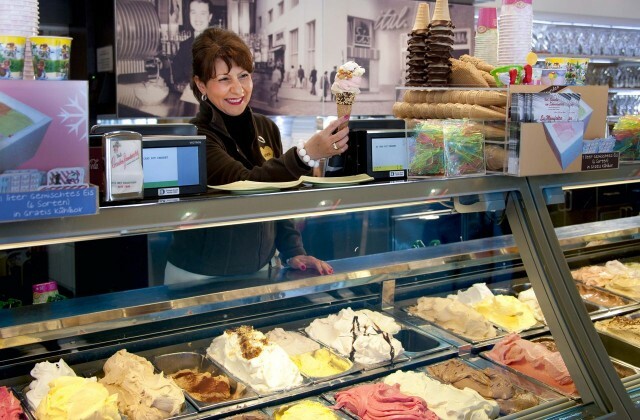 Ice-cream in "Are silent" is not only only "children’s" – it here do even of wine. In a heat perfectly refreshes firm sorbet from lemons with champagne. In Tichy there is a turn, but, on my supervision, there is it always promptly. Without considering some ice-cream the big range of desserts and drinks is offered. At your request to ice-cream will gratuitously submit a glass usual drinking water (as it is clear, in Vienna good water runs from though what water tap!). On Shvedenplatts there is other cafe which I do not wish to put above or lower on level. This more worthy institution, than "Are silent". Eissalon am Schwedenplatz – cafe old, with traditions. Ice-cream choice here the big. I love Eissalon am Schwedenplatz (Franz-Josefs-Kai 17), I come there at any comfortable case and usually I order a horn. There is a lot of types: to receive the real pleasure, they are better for connecting. Traditional creamy grades perfectly mix up with multi-coloured fruit sorbet. It is pleasant to me strawberry and cottage cheese, and here any delicacy, it seems амаретто, I to take I do not advise – expensively and tastelessly. From "exotic" it is possible to test yellow mango with tender taste. It is possible to order ice-cream with itself. Your cool dessert will pack into the thermocontainer from polyfoam; it it is weakened «доживёт» to your household refrigerator and will not thaw. It was necessary to me to happen and in other salons concentrated in the centre. On my look, they lag behind on level, though my outlook personally. There is Tukhlauben’s (Tuchlauben Eissalon) very fine cafe on Street Tuchlauben 15, but there always there are a lot of guests, there is no place to sit down. 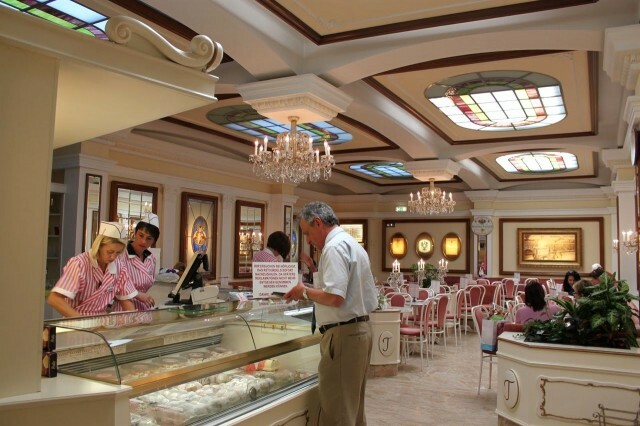 On Hoher Markt 4 there is the "atmospheric" institution Gelateria Hoher Markt issued in provincial Italian style. There, without considering some ice-cream and coffee, submit a tasty Vienna strudel. The gallery Hoyer Markt is not locked for the winter, works all the year round. Two recognizable cafes are on Rotenturmshtrasse Street. I will tell honest, to me they have not attracted. One – at the corner Shvedenplats (not to confuse to Eissalon am Schwedenplatz), the 2nd – glorified «Zanoni and Zanoni». In Zanoni (Lugeck 7), without considering the sonorous name, I fascinating have not found anything. In this network institution it is possible to test creamy grades, but their fruit ice-cream to me it seemed absolutely tasteless. In the Italian Paolo Bortolotti, what on Mariahilfer Stra? e 22, good soft Italian «джелато» (say that there it is more tasty, than in the homeland) and unique sorbet with mango taste. 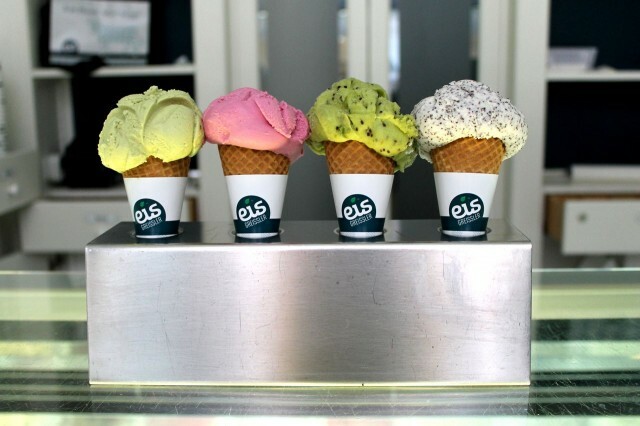 Eis-Greissler cafe on Rotenturmstra? e 14 – very fine institution, tiny and stylish. His owners argue that at them only the organic product from the freshest milk, natural fruit, nuts and even from vegetables (only 90 tastes) becomes.